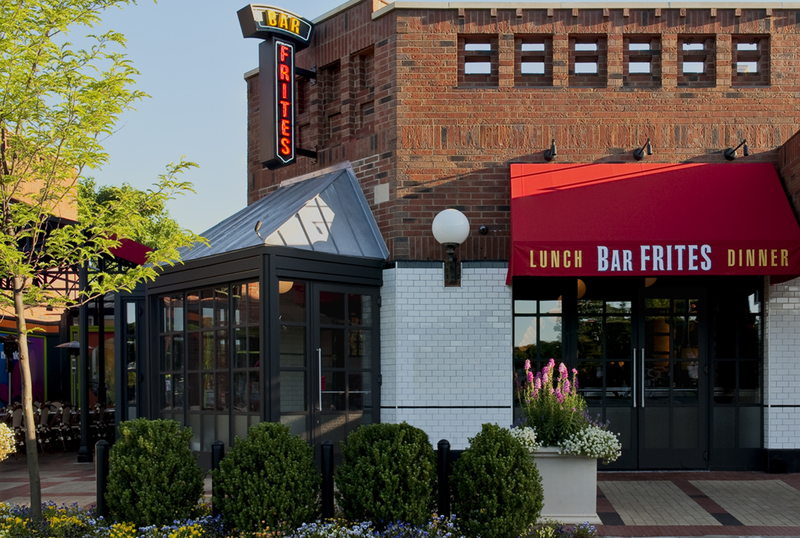 Restaurateurs, Gillis and George Poll have opened a hip urban bistro, Bar Frites, located at the upscale shopping center: Wheatley Plaza on the North Shore of Long Island. 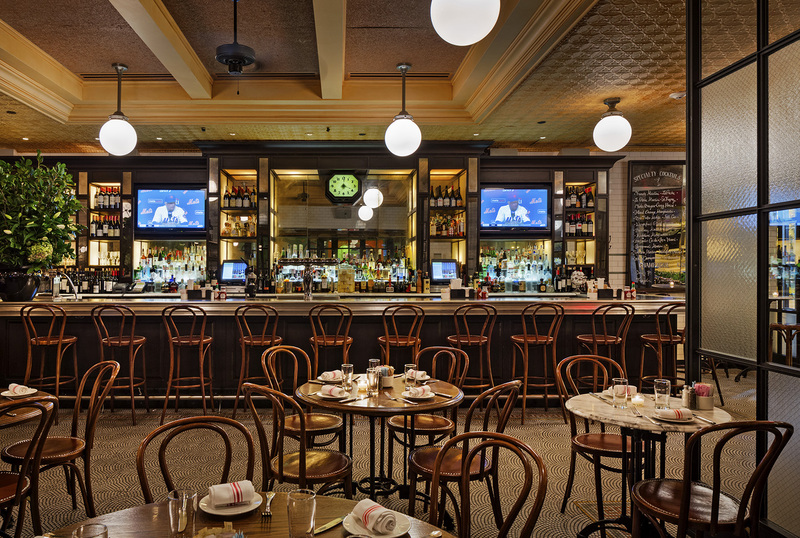 The atmosphere, comfortable and inviting, makes one feel transported to Northern France with it’s antique mirrors, wooden tables, white tiled walls and big globe lights hanging from the gold colored tin ceiling. 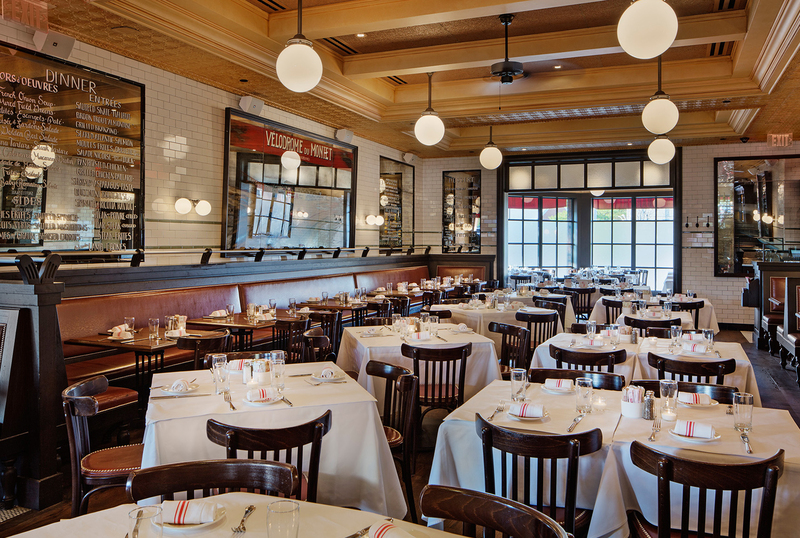 The menu offers Gillis & George Poll’s take on Bistro fare including great comfort food dishes and the classics. The Burgers, Steak Frites, Croque Monsieur and Steamed Mussels served with pomme frites are also among the fan favorites. Some of the Bistro Classics include Escargot, a Frisée and Lardons Salad and Sautéed Skate. Any night of the week can be unique with the Plats du Jour featuring Bouillabaisse, Côte de Boeuf and Coq au Vin to name a few. So whatever the mood or taste, one is sure to find culinary pleasure and comfort at Bar Frites. It is open everyday for Lunch and Dinner and is a unique place to come for Saturday and Sunday Brunch. A covered outdoor dining area is a wonderful option during the warmer months and the back dining room is perfect for private parties and events which makes Bar Frites an ideal place to dine any time and for any occasion!